Thomas L. Delworth was elected a Fellow of the American Geophysical Union (AGU) for 2018. 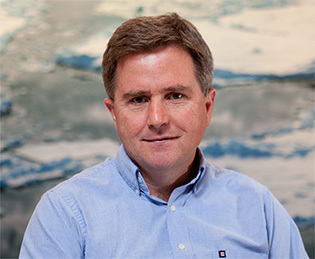 A Senior Scientist at GFDL, Dr. Delworth’s research has advanced the scientific frontiers on the role of the ocean in our climate system, especially climate variability, change, and predictability on time scales from seasonal to centennial. He is also widely recognized as a leading expert on the Atlantic Meridional Overturning Circulation and climate. Dr. Delworth’s research collaborations have addressed wide-ranging issues associated with the role of the ocean, including drought, flooding, tropical cyclone activity, warming temperatures, winter storms, and other extremes. The breadth of his research is reflected in nearly 150 published papers in peer-reviewed journals, and his Hirsh Index of 55 attests to its significant impact. His expertise has been recognized and sought internationally. He presently chairs or serves on science advisory boards for the U.S. Department of Energy, as well as major scientific institutions in the U.K. and South Korea. He has served in numerous leadership roles for the U.S. CLIVAR program and for the National Academies National Research Council. Dr. Delworth, leader of GFDL’s Seasonal-to-Decadal Variability and Predictability division, has been at the lab since 1984. He has been a lecturer in the lab’s collaborative graduate program in atmospheric and oceanic sciences with Princeton University since 2008. AGU Fellows are elected each year for their visionary leadership and scientific excellence. AGU Fellows are recognized for expanding our understanding of the Earth and space sciences, and for their scientific eminence in these fields. Only 0.1% of AGU membership receives this recognition in any given year. The class of 2018 Fellows will be honored on December 12, 2018, at AGU’s Fall Meeting in Washington, D.C.